Much of the growth of nations is tied to the growth of their cities. Cities are the source of a nation’s wealth, not the other way around. It is in its cities that most of the investment, trade and consumption take place. Yet development economists have spent most of the last 60 years focusing on nation growth, not city growth. Following WWII, the United Nations, World Bank, International Monetary Fund, as well as the hegemonic powers of the US and the Soviet Union have pursued policies of building National economies as the route to economic development and growth. After the collapse of the Soviet Union, Western powers have continued this strategy of nation building to this day. There are strong reasons why businesses and governments must start focusing on cities and megacities as targets for development. First, for the first time in human history, we live in an urban world. More than one-half of the world’s population live in cities and generate 80% of the world’s GDP. As of 2007, 380 cities of the McKinsey Global Institute (MGI) index of 600 top global cities, accounted for 50% of global GDP. By 2025, the 600 largest cities will generate 60% of global GDP. Many major cities in the US and Europe are declining in population. 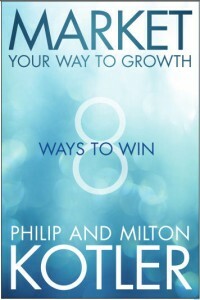 They cannot be relied on by Western global multinationals to provide growth opportunity. Second, the fastest growing cities are in the developing nations, especially in Asia and Latin America. They are experiencing a rapid growth in the middle and affluent classes. This is where money can be made and it is the emerging country multinationals that are in the best position to exploit these opportunities. Western multinationals must wake up and move to these opportunities before it is too late, otherwise they are condemned to low or no growth. Consider the following. Large and midsize cities in developing countries often have a growth rate far exceeding their host countries. (Cities refer to standard metropolitan areas of municipalities. City regions extend beyond the SMA. Megacities exceed 10 million in population; large cities range from 5 million to 10 million.) Furthermore, the sum total of a nation’s cities comprises the greatest part of their GDP. In developed countries, cities provide as much as 80% of national GDP. In the US, cities contribute 79% of national GDP. 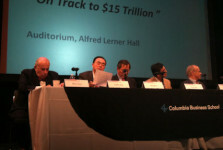 In developing countries, the range is 40 to 60% Chinese cities contribute 60% of national GDP and 85% of its GDP growth. Beneath the shell of nation building, developing economies have thrived through the rapid growth of cities and their dynamic interplay of demography, education, low labor costs, external and internal investment, transplanted global industries and indigenous industries, government investment and enterprise policies, and indigenous entrepreneurial spirit. Continuing urbanisation drives the GDP growth at a much higher growth rate than it would otherwise achieve. National institutions play a facilitating role in attracting external investment and trade, but it is the enterprise of developing megacities and large cities that are the engine of national economic growth. In most cases, urban GDP in developing and developed cities exceed the growth rate of their host countries; or decline less than national economic decline. Nations are the beneficiaries of urban wealth, not the progenitors. According to McKinsey, the top 600 cities in the world include 20% of the world population and generate $34 trillion, or roughly half of global GDP. Between 2010 and 2025 the top 600 will double its GDP to $65 trillion and contribute 67% to global GDP (McKinsey, 2011). How can this be? Why is the economic development of Asia and other developing areas eclipsing Western economic dominance? The answer is really quite simple. Since the rise of nation states in the 18th century, comparative politics and economics have always been based on country data. The same holds more recently for comparative GDP data. Country data does not reflect differences in city GDP or city contribution to country GDP. For example in 2011, the top 15 cities in India contributed 56% of India’s GDP, while only including 7.5% of its population. Cities are the economic powerhouses of countries.Further, top city annual economic growth exceeds home country growth. City-building, not nation building has been the key to the rise of emerging markets. The megacities and large cities of the world have an 80% higher per capita GDP than their host economies. By 2025, only 12 of the top 25 cities with annual household income above $20,000 in purchasing power parity (PPP) will be in developed regions, namely Tokyo, New York, London, Paris, Rhein-Ruhr, Osaka, Los Angeles, Seoul, Chicago, Milan, Ranstad and Madrid. Thirteen of the top 25 will be in developing regions, namely Shanghai. Beijing, Moscow, Mexico City, Sao Paulo, Mumbai, Cairo, Hong Kong, Taipei, Shenzhen, Istanbul, Delhi and Buenos Aires. The key to the shift of national wealth from developed to developing countries lies in the rapid urbanisation of vast populations of low-wage workers and educated professionals, and the merging of countryside, towns and cities into large cities and megacities. Jane Jacobs and other urban analysts pointed out the wealth creating effect of cities. While these earlier writers focused on the urbanisation of developed countries, there is today a far larger impact of cities in the developing world. According to McKinsey, “China’s economic transformation resulting from urbanisation is happening at 100 times the scale of the first country in the world to urbanise – the United Kingdom – and at 10 times the speed. The 2025 MGI Index constituent players will change. 136 new cities in the developing world (100 in China alone) will enter the 600 city index. One out of every three developed cities in the 2007 600 index will drop. The key element of new wealth creation will derive from the consumption of 485 million households with an average per capita income $20,000 per annum in 2007, to 735 million households with an average per capita income of $32,000. Jane Jacobs brilliantly dismantled national theories of wealth creation, by demonstrating in utterly realistic terms the fact that cities and their regions are the true generators of national wealth . She argues that cities grow through different stages: 1) Markets for imports; 2) Import replacement; 3) Industrial and commercial transplants; 4) Technology; 5) Capital formation and Investment. Jacobs demonstrated how great Western city regions joined with other importing and exporting city regions within a nation to actually create the wealth of nations. The city is the core of the city region economy. As the core city flourishes in import replacement, it begins to export its surplus production and innovations. Imports are continually converted into replacements and exports and the wealth of city regions grow. When the city core declines in energy and inventiveness, the city region degrades. Jacobs wrote an earlier book in 1961, The Death and Life of American Cities, in which she traces the competitive race between cities and city regions within the US and the various reasons why some cities won and others cities lost. Every city competes for markets, jobs, transplants, technology and capital. Cities may be permanent, but there is no permanence of their wealth and economic power. Jacobs witnessed the rise of Tokyo and other major Japanese cities and the rising wealth of Japan, though she did not live to see the declining economic growth of Tokyo and other major Japanese cities during decades of stagnation in the 90s nor for that matter the death of Detroit and the economic decline of many prominent American and European cities. However Jacobs has been right all along. The changing economic fortune of city and city regions rests on the shifting sands of markets, jobs, transplants, technology and capital. Let us look at how her five forces shape today and tomorrow’s global economy. There are more jobs in the top developing cities than in the top developed cities. You can fit the 2025 projected population of the five global top per capita income developed cities (Oslo, Doha, Bergen, Trondheim and San Jose) into one job district of Shanghai. Most of the top performing per capita cities have small populations, rich natural and human resources and specialised markets. The developing world added 886 million non-farm jobs from the period of 1980 to 2010, or an increase of 61%, versus 164 million new non-farm jobs in the developed world, or an increase of 9%. In 2008, there were 80 million middle and wealth class households in the developing top 600 world cities; and 172 million such households in the developed world. By 2025, 11 of the top 25 global cities in GDP will be in the developing world; while 14 remain in the developed world (9 in the US). Turning to the number of households with annual income over $20,000 (middle and wealth classes) in the top 25 hot spots in 2025, 12 will be in the developed world; 13 in the developing world (seven of these in the BRIC countries). Finally to the fastest rate of city GDP growth in 2025, China alone has 15 of the top 25 greatest city GDP growth rates in the world. In a number of households above $20,000 GD/PPP per annum only New York, Los Angeles and Chicago in the US rank in the top 25 cities; matched by Shanghai, Beijing and Shenzhen in China. More broadly, 12 of the top 25 cities in household income $20,000 GDP/PPP per annum will be in the developing world. The key to the growing market consumption of top developing cities is the global reach of multinational corporations in manufacture, brand power and retail chains, as well as the rise of indigenous companies and their production power, styling, advertising and distribution though their own retail chains and malls. Most Western multinational B2C and B2B companies initially exported their goods and services to developing cities. In short order, these imports were copied and sold by domestic companies to consumers at a lower price. The multinationals transplanted their production to host developing cities to protect their brands and to take advantage of low cost labor to export to their home countries and globally. They worked out distribution and promotion of their goods to supernumerary local consumers. 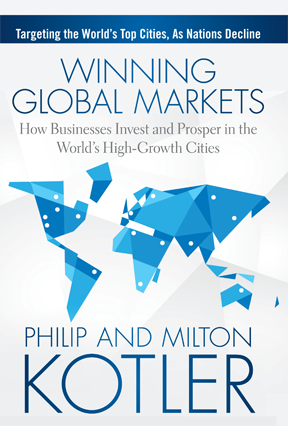 Multinational corporation investment added great economic growth to developing cities, while imperiling the productive economy of their home country. Indigenous developing cities also substituted imports and grew their own brands and position in the marketplace. In addition, because of low labor costs and government policy, the multinationals overproduced for the destination developing market and exported great surpluses all around the world to other developed markets and to other developing markets. Chinese companies did the same, competing with the multinationals in the host market, and eventually exporting as well. The major source of growth since 1980 has been the transplantation of manufacturing from developed city regions to the city regions of developing cities. Many factors − low wages, improved education and skill training, infrastructure, logistics, local supply, large metropolitan consumer markets, low interest financing, favorable bilateral and global trade policy, and investment incentives of host countries − have joined forces to move the industrial core of the developed world to the developing world. The epicenter of middle class consumption and per capita wealth is moving in concert with this industrial and commercial investment shift. Developing cities are marketing their investment advantage, in concert with central and local government policy and monetary, fiscal and trade support. They compete among each other for foreign direct investment (FDI). It is important to note that it is the cities that market transplants, not the central governments. Trade delegations led by Mayors from every large city in China send marketing delegations to US cities to demonstrate their investment opportunities. Note also that these developing city delegations go to cities in the US, not to the Federal Government for investment. With continuing large scale and rapid import replacement through transplants, FDI, and indigenous production, developing cities will establish and widen their lead over developed cities in decades ahead. The only hope of economic growth for low population developed cities is innovation for export. This brings us to the next element of city economic growth: technology. China and many other developing countries require joint venture structures for foreign investment. This is partly for the purpose of adding capital assets and revenue to State-owned companies, but also for indigenous partners to learn the technology of high value production and copy this knowledge for their own branded products and components. Indigenous joint venture partners are also learning how to efficiently manage large scale business operations and management processes and organizations. Foreign MNCs accept this condition of joint venture and technology transfer for the short-term benefit of market access and sales revenues to meet their global bottom line. MNCs are constant victims of IP theft whether by a joint partner or third parties. Copying is the core of city economic growth. All cities grow by import replacements, which is a fancy word for copying. No legal system or procedures can stop the heart of city economies from copying and growing. They must reproduce what they import to grow their economies and then export at a lower price than what they previously imported. Not only do developing city regions replace imports for their home market, but they export surplus throughout the world, at a price that no Western MNCs can match. In fact, the Western MNCs outsource their production to these companies and become essentially design and marketing companies. Retail chains in the developed world import these foreign goods directly, or as private label brands. As Chinese companies absorb more Western technology in its manufacturing base, they also invest in new technologies. Huawei invests 10% of its sales revenue in R&D, far higher than any American company. In addition, the Chinese government invests in R&D. Under the 12th five-year plan which runs until 2015, China will increase public R&D expenditure to 2.2%, and to 2.5% by 2020. What all this means, is that Chinese and other developing city regions will catch up with the West in technology and from there become major exporters of value added goods and services. New York, London, Paris, Frankfurt, Tokyo and Singapore are still the major global financial centers of capital; but Hong Kong (legally part of China), Shanghai, Beijing, Mumbai, New Delhi, Sao Paulo and the ME Emirate cities of Abu Dhabi, Doha and Dubai are not far behind. 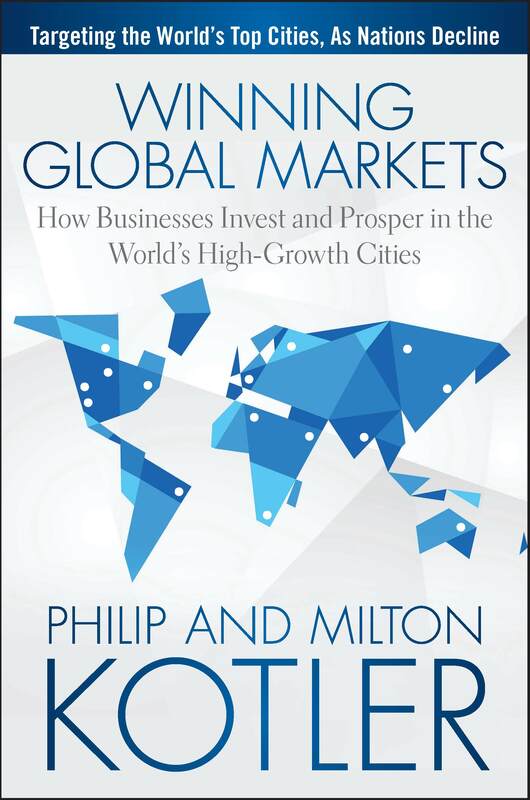 The essential matter is that more productive global capital (not safe haven capital) is flowing to the 480 developing cities of the McKinsey 600 than to the 120 developed cities. Thus, just as the West off shores its manufacturing, it is off-shoring its productive capital. Western MNCs are keeping billons of off-shore profits off-shore to invest in developing city regions, instead of bringing these earnings back to their home countries for taxation and limited domestic investment opportunity. Developing countries now receive over half of global FDI inflows. In the first half of 2012 though, China surpassed the US and became the world’s largest recipient of foreign direct investment. McKinsey reported that in 2012, “Only 19% of surveyed business executives were reporting that their company’s senior executives were making business location decisions at the city, rather than the country level and that they expect that share to remain constant over the next five years.” Further, 36% make strategic business expansion decision based on regional investment, and leave the task of allocating investment to cities to working groups. Astonishingly, 61% of senior executives don’t plan at the city level “because they are perceived as an irrelevant unit of strategic planning.” 52% don’t use city information in their daily work. If these senior executives are looking for customers, they are overlooking the most salient fact of where customers are. They are not in regions or countries, but in the city regions of countries. When seeking locations for improved access to knowledge and talent, 30% report that these decisions are made at a city level. This small percentage may be wise for identifying management skill and technical talent for operations and innovation, but it is a poor substitute for finding where entrepreneurs and consumers are. It may locate Silicon Valley or Bangalore, but it fails to locate Tianjin and Wuhan, or Jakarta and Lagos. Indeed it may identify Minneapolis, Chicago, Manchester, Munich, Frankfurt, Lyon, or Stockholm; but none of these cities are among the top 23 city regions of high/middle income households of 2007, nor will they be in 2025. Senior executives of Western MNCs have been in management positions for decades. It is tough to unlearn a mindset of thirty to forty years, especially when that mindset has been successful for many years. Most US consumer and service MNCs still do a great part of their business in the US. But this picture is changing very fast. As of 2011, Wal-Mart still does 76% of its business in the US; Nike does 50% of its business in North America. Marriott is still American enough to do 84% of its business in the US; and McKesson, the largest US drug distributor, does 91% of its business in the US. But there is slippage. McDonald’s earns 66% of its revenues overseas. Apple received 65% of its sales revenue from overseas sales. Even Amazon is getting 45% of its sales overseas. Turning to the industrial sector we see Intel with 88% of its revenues overseas; Dow Chemical at 67% overseas; IBM at 67% overseas; GE at 54% overseas; and Ford at 51% overseas. If we take 50% overseas sales as the tipping point for a truly global US multinational company, it is likely that we will see most of the US Fortune 500 and Fortune 1,000 companies selling over 50% abroad by the end of the decade. With the exception of Intel, Ford and IBM selling a small share of foreign sales directly to governments, most of these sales are to foreign companies. These procuring companies and consumers are in cities. Currently the largest city destination of US foreign sales are Western developed countries in Europe, Japan, Korea and Australia. While we do not have the figures on the percentage of sales to developing cities, it is a fair bet with European and Japanese economic stagnation and rapid developing city growth, that a majority percentage of US multinational foreign sales will have to shift from developed cities to developing cities before 2025. It is the strategic challenge of every company to figure out the locations and rates of this shift. They have enough research capability to see the city path of their business shift over the coming decade, if they accept the premise of city market economies. They need the competitive intelligence to see where their Western MNC competitors are going and when and how. They have to track the rise and competitive strategies of new developing market MNCs and the global city spaces in which they plan to operate. They have to change the culture of their headquarters and stakeholders to understand two basic changes. First, don’t put too many resources in developed city markets. They are declining in consumer and business growth; while developing city markets are growing. Second, forget global regions and countries and focus on city markets, both in the developing as well as the developed regions. Western failure to accomplish this cultural shift will advantage the rise of new MNCs in developing and serving global cities. Developing cities with high savings cultures are reluctant to spend. Those with spending cultures are ready to buy. Cities with many institutions of high education and research institutes have a large stock of talent for R&D and innovation. Newer developing cities that have not yet replaced their imports have fewer indigenous competitors than older cities. Cities with agile entrepreneurial political leadership are more inviting to Western MNC entry and growth than bureaucratic cities, which are protectionist toward their own indigenous companies. Some cities have highly suitable and outward looking partners for joint venture and strategic alliances; others are too restrictive, distrustful and reluctant to deal with Western partners. Every company needs an opportunity road map and criteria for ranking. The McKinsey 600 cities index, with its 430 developing cities, is too vast a landscape for strategic investment. Which cities should your business invest in and according to what criteria? What time order and investment scale do you set for your company among these opportunity developing cities? Below the city level, what demographic segments should you target?. What brands are most salient to the changing demographic groups in these fast growing developing city regions? What mix of distribution channels do you devise? Chinese cities have the highest number of internet users and fast growing eCommerce sales. India’s cities have a slower rate of eCommerce growth. The Emirates cities are high wealth centers for luxury goods and travel. They want elegant retail channels. African emerging cities need more standard household goods and services and favor big box chains. Chinese cities have millions of luxury and middle class consumers, as well as millions more in countryside towns and rural districts. The channels have to be highly diversified. How do you advertise in the developing cities with different cultures? Cultural variation and taste differ enormously between different cities, even in the same country. The people of the Middle East are highly sensitive and alien to Western outlook. How does a Western product achieve credibility in the massive city region of Cairo? How do you price for profit in vast developing cities that have a heritage of flexible pricing and price negotiation? What systems do you need to control price flexibility in the distribution chain, as well as the supply chain? Speaking of distribution, developing cities have far more fragmented intermediaries than in developed cities. The distribution pie has many more slices. If we have to move from regional and country company organisation, how do we organise for city regions? If the wealth of companies comes from developing and developed city regions, companies have to have senior executives at the city region level. They cannot succeed with tactical work groups. The most promising approach is to target the fastest growing city region clusters and seat senior management at the city region cluster level. We are facing a new generation of marketing, different from the past and with a still uncertain future. What we do know for certain, as born out in the data, is that global city regions in the developing world will dominate market economics and be a fundamental source of company growth and prosperity.